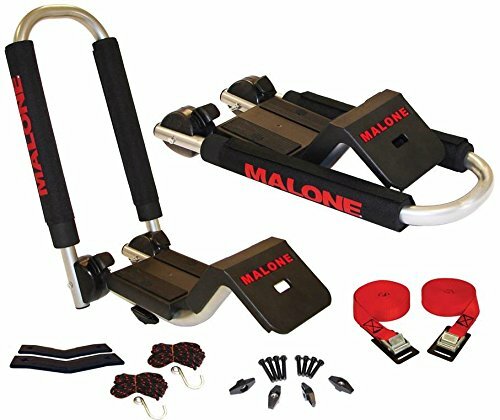 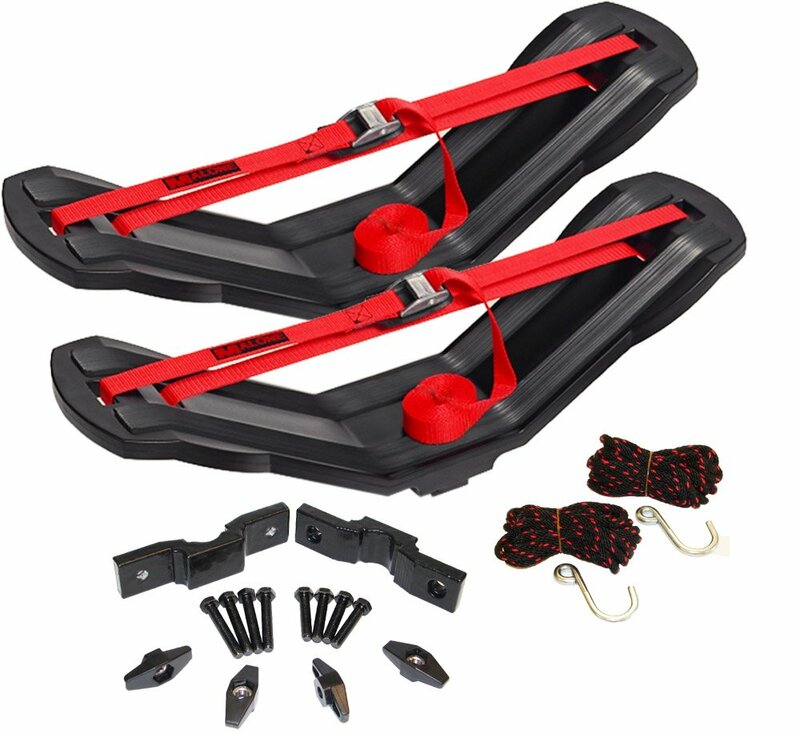 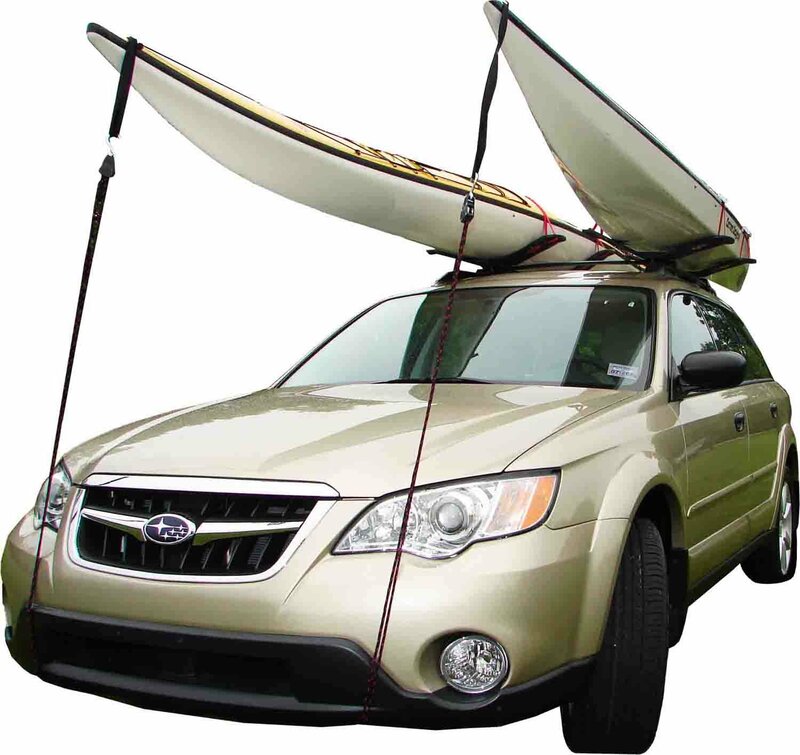 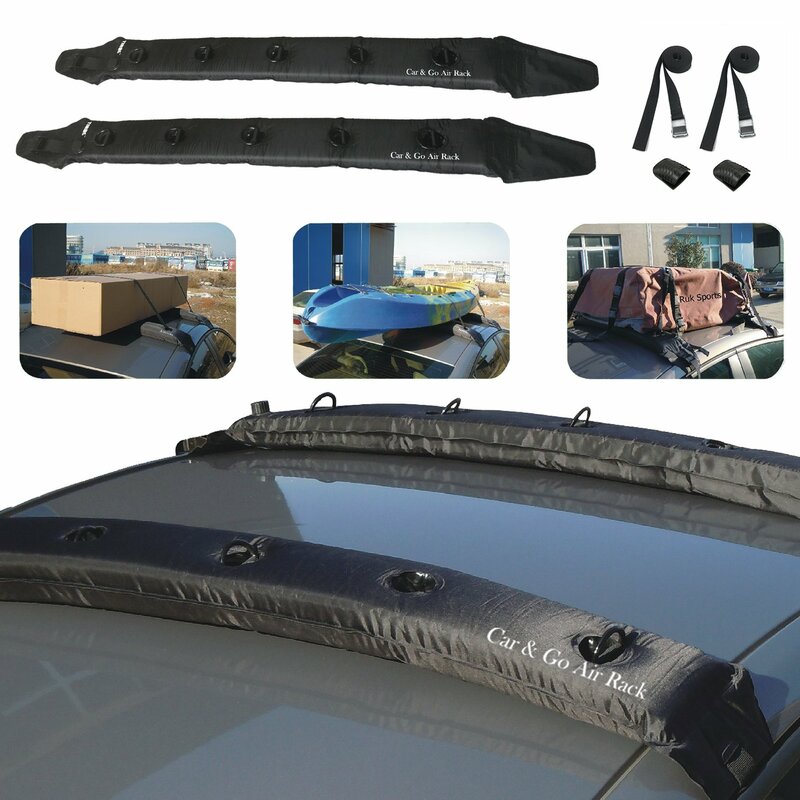 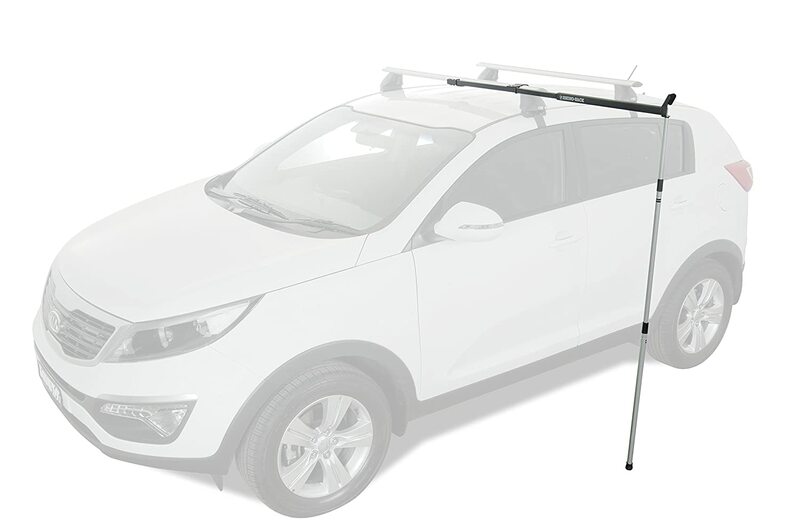 The Malone SeaWing universal car rack kayak carrier includes everything you need to carry one kayak bottom-down on your roof top or trailer. 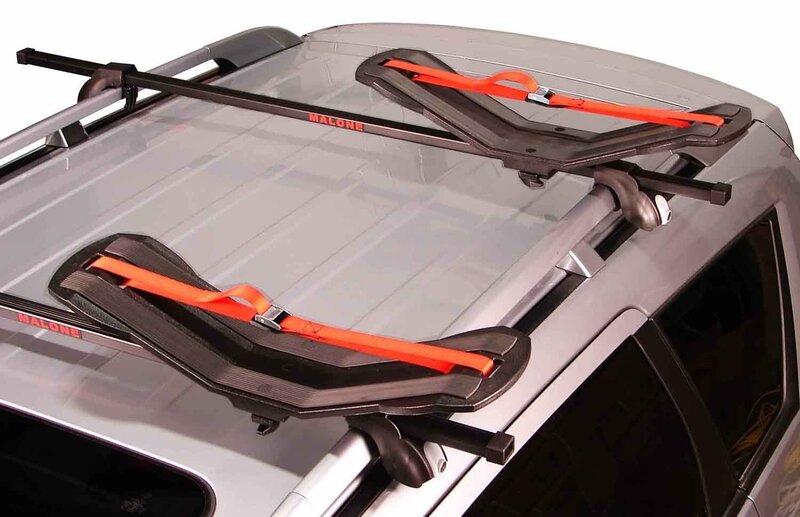 The unique mid-mount design saves space and allows you to fit two kayaks bottom-down on factory or aftermarket cross rails (with a second set of SeaWing carriers). 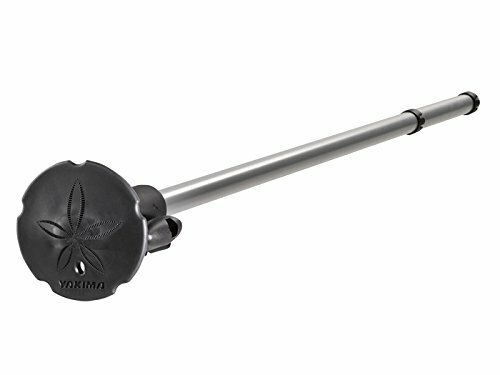 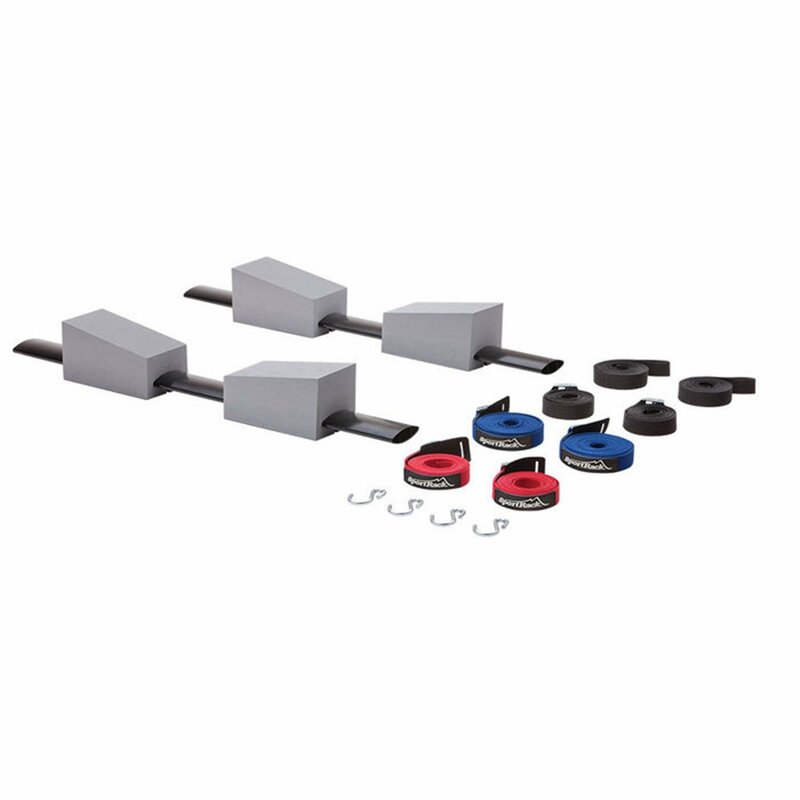 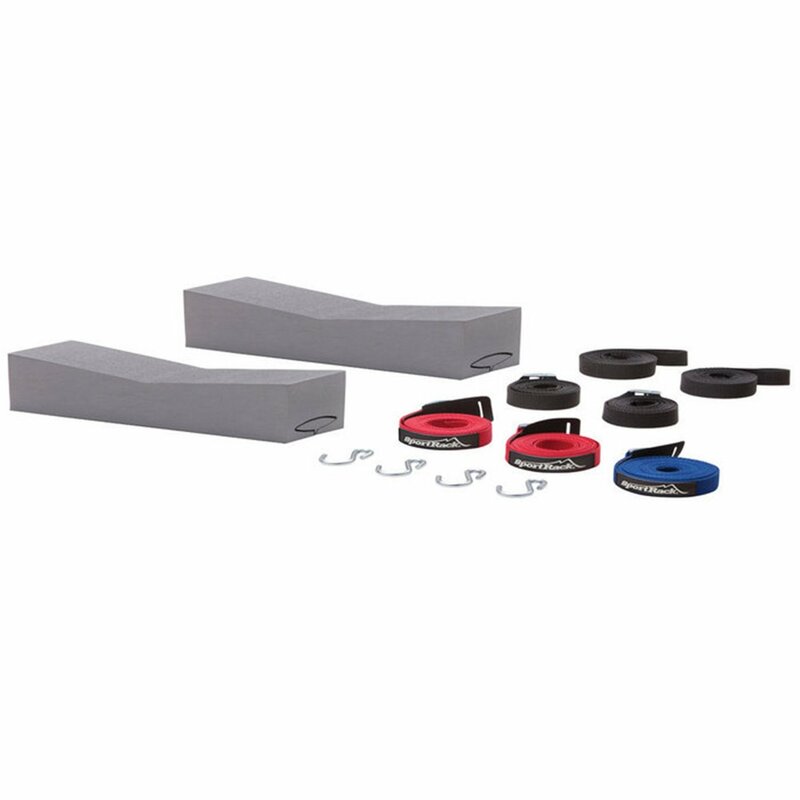 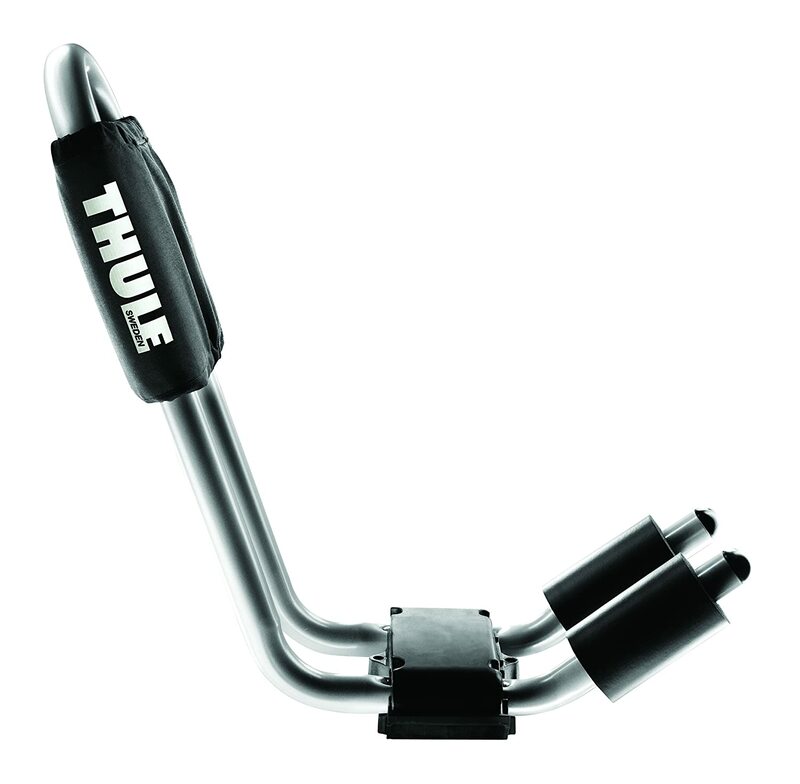 The universal JAWZ mounting hardware fits round, square and factory oval cross rails.